• A wildlife officer rescued a diver in distress complaining of severe cramping in both legs. After the diver was towed back to his boat, he was found to be in possession of 10 lobsters, four of which were undersized. He was cited for an overlimit and released. • Officers observed a boat anchored on the border of Blue Cavern SMCA with one man aboard and a diver with a light swimming in the MPA. When an officer jumped into the water, the diver turned off his light and attempted to outswim the warden to the boat, where another officer was waiting for him to surface. The suspect said he was “only looking” and did not have any lobsters. 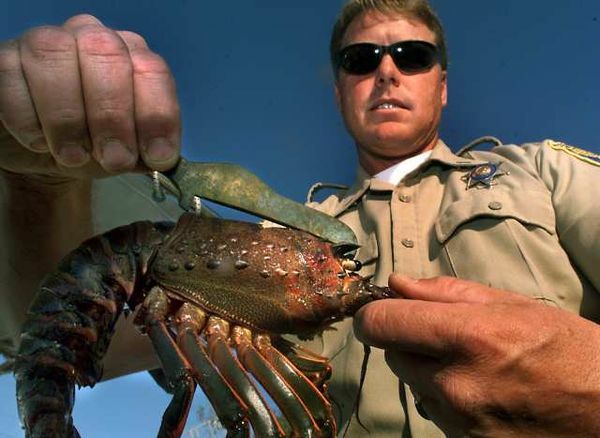 A second warden entered the water and found the fleeing diver’s game bag with lobster in it. After a search of the boat and gear, the men were found to have 21 lobsters. They were cited for an overlimit, failure to show on demand and diving in a marine protected area. • At Santa Barbara Island, a diver attempted to distract officers with the classic “what’s that over there?” while trying to drop his dive bag. The warden put on his SCUBA equipment and retrieved the bag 60-feet below the surface. It was filled with nine lobsters, and the diver was cited for an overlimit. Now granted this small sample may just look like there are a few hammerheads breaking the rules but the final numbers for the opener are actually quite startling. With 400 checks done on opening night, wardens issued 35 citations and 26 warnings. That’s 60 total, or about 15% of total fishers approached. That is a huge number. Extrapolate that number to a thousand effort-days of fishing and you’re talking about 150 violations of some type. Over the course of a season, the numbers just increase. You can make a difference however. If you see people breaking the law there are things you can and should do. 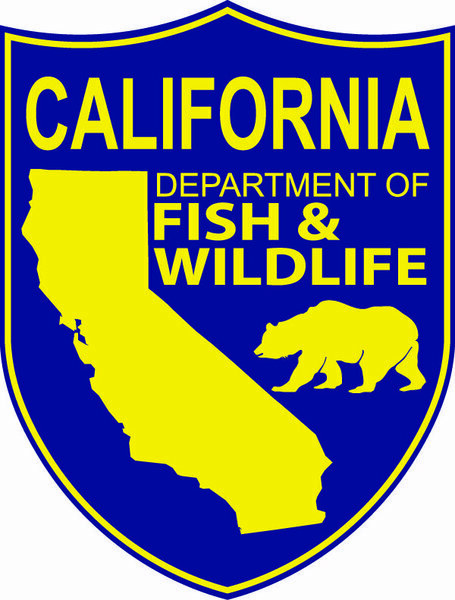 CDFW has an anonymous hotline to report poachers at 1888 DFG-CALTIP (888 334-2258). They’ll send a warden out as soon as possible to investigate and if a conviction results, you’ll be eligible for a reward. If you’re on a party boat, tell the captain or the divemaster. They have both a financial and professional interest in seeing that divers are harvesting legally. The spiny lobster is in a precarious state in a lot of regards. We don’t really know the overall health of the fishery and there has been a lot of increased entry into the fishery with the new-found popularity regarding hoop-nets. It’s a time to make sure we as a community are playing by the rules today to insure a sustainable fishery in the future.